GAIL Jobs Recruitment Notification 2019.Gas Authority of India Limited (GAIL) inviting applications for the positions of Executive Trainee.Interested and Eligible candidates can apply for the positions. Selected candidates will get Rs.60,000 – Rs.1,80,000/- from the organization. 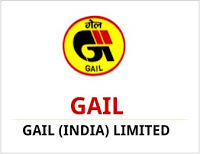 Look around for “GAIL Recruitment 2019 for Executive Trainee Posts“.